Blog Quick Quotes: Mini May-Nia with Kate! Happy Thursday Quick Quotes Fans! Kate here today sharing my Beginnings 6"x8" Wire Bound Book with you. In my previous video, I shared the Beginnings Wire Bound Book in its entirety. 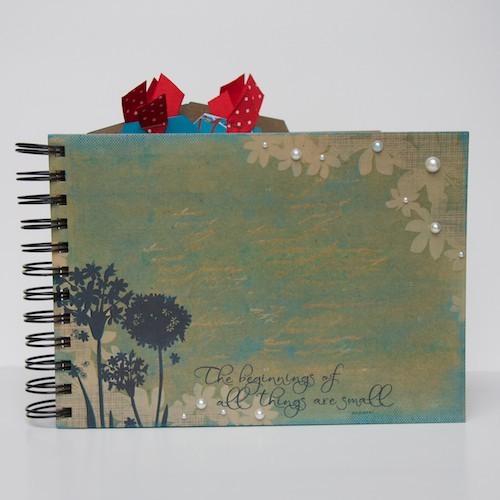 Today I am showcasing completed pages from the Beginnings Wire Bound Book and a video tutorial on how I altered some of the pages in this fantastic album from Quick Quotes. 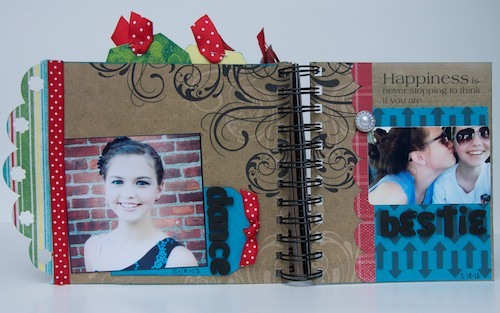 To decorate the album I used several instagram photos of my daughter, Lily, and the May Club Q Page Layout Kit. 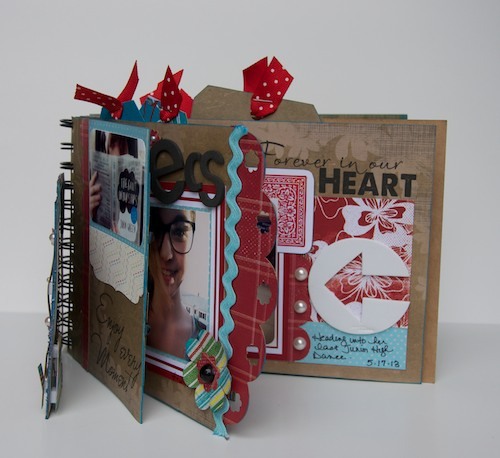 This kit came with lots of great papers and embellishments. Plenty to do this whole album! The edges of each page are inked with Blue Hawaiian Powder Puff Chalking Ink. This album is fun and spirited just my Lily! It really is a reflection of who she is at this moment. 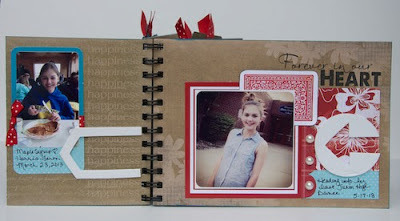 I love how easy the Beginnings Wire Bound Album and the May Club Q Page Layout Kit made this project come together! Helmar Premium Craft Glue & ZapDots & 450 Quick Dry Adhesive. I love your album! Especially the cover! 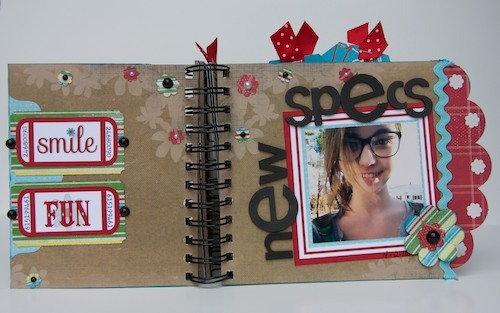 Love the new specs page. I love your album, especially the cover. OMG!!! This is absolutely TOO COOL for SCHOOL! Thank you for sharing your project and more importantly...MAKING THAT VIDEO! Woo hoo!!! I see another mini album on my horizon! very COOL!! love QQ!!!! Love the mini Katie!! Love, love! Many cool ideas. Love it! You did a fab job! 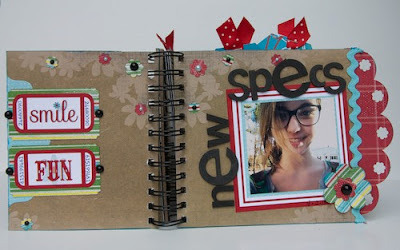 I adore mini albums so I love all the inspiration. Love the album, especially the pearls on the cover! WOW! What a great mini book! I love the sentiment on the cover and how you colored it with the powder puff chalk ink! Love Quick Quotes goodies! They are high quality and add lots of pizazz to my projects! TFS! Your mini came out wonderful! Thanks for sharing. great Tutorial and so much fun. 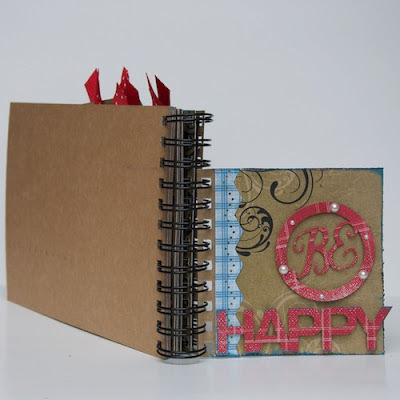 Love the technique you use to alter pages either for pockets or smaller pages. Great job. Love learning a new way for making albums more fun. Thank for sharing. 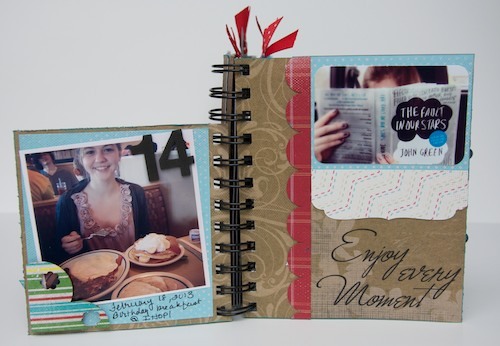 I really like the idea of cutting down the pages! It really adds extra dimension and interest! Love your album! Thanks for the video! A very cute album. The color scheme and the elements used are really great looking. I like how you changed the page size also. Love this Kate! You did a fabulous job of altering the sizes of the pages and all those great pockets are such a fabulous touch! Thank you for the inspiration, my creative freeze has been lifted.